September 25, 2018 / Modified sep 25, 2018 11:40 a.m.
AZPM is proud to be recognized by the National Academy of Television Arts and Sciences. 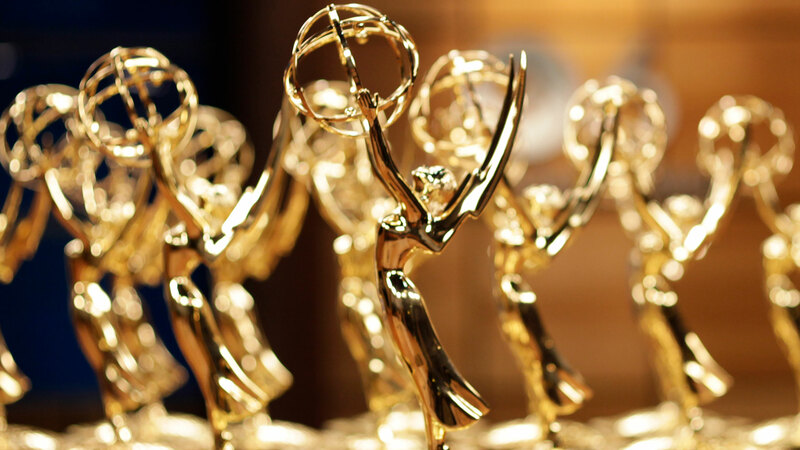 Arizona Public Media staff received 12 individual Emmys® for five projects in five categories at the 2018 Rocky Mountain Southwest Chapter of the National Academy of Television Arts and Sciences (NATAS) Emmy Awards® Ceremony in Phoenix on September 22. AZPM staff earned more awards than any other station in Tucson and more than any other public broadcaster in the Rocky Mountain region, which includes Arizona, New Mexico, Utah, Wyoming and El Centro, Calif. In August, AZPM staff received 34 individual nominations for 17 projects across 14 categories, including overall excellence – which was also more than any other station in Tucson and more than any other public broadcaster in the Rocky Mountain region. The AZPM staff has been awarded 45 individual Emmys over the last four years, including the prestigious Governor’s Award for the 2016 original documentary, Passing On, and the Overall Excellence award in 2015. Arizona Public Media (AZPM) is an editorially independent, nonprofit public service of the University of Arizona (UA) and provides three television program services (PBS 6, PBS 6 Plus, and PBS Kids), three radio services (NPR 89.1, Classical 90.5, and the BBC World Service) and a variety of online program offerings at azpm.org. AZPM is funded through the generous support of annual and sustaining members, the business community through program underwriting, fee-for-service production activities, the Corporation for Public Broadcasting, and direct and in-kind support from UA. Arizona Public Media® and AZPM® are registered trademarks of the Arizona Board of Regents, which holds the FCC broadcast licenses for all AZPM stations, for the benefit of the University of Arizona. More information about AZPM, including program schedules and Video-on-Demand offerings, can be found online at azpm.org.